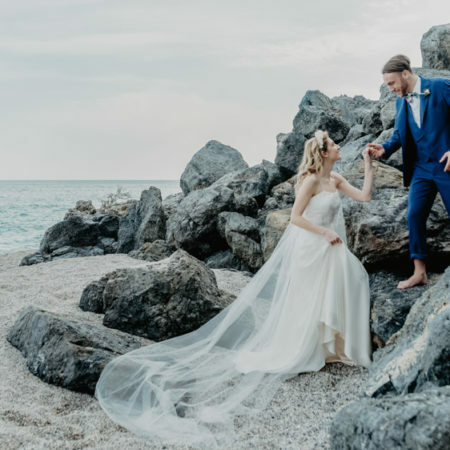 This afternoon’s post is pure eye candy featuring a couple with a story that just about every engaged couple can relate to! 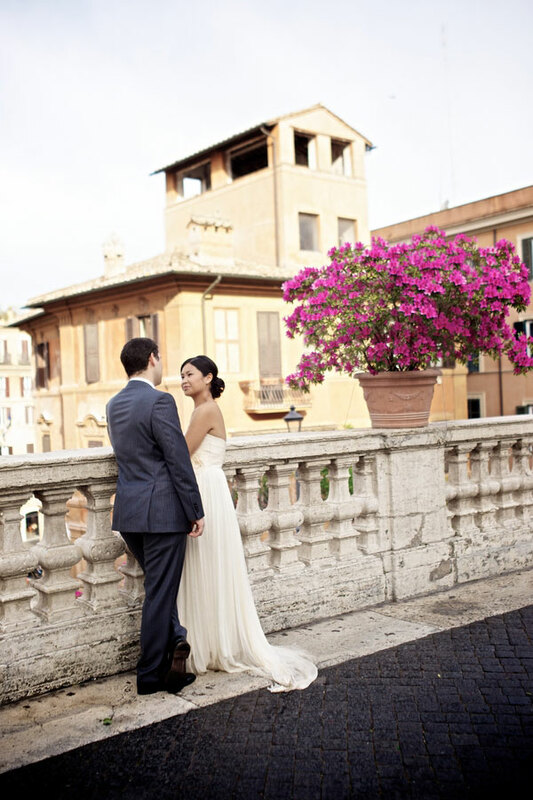 The bride, American, the Groom Italian. 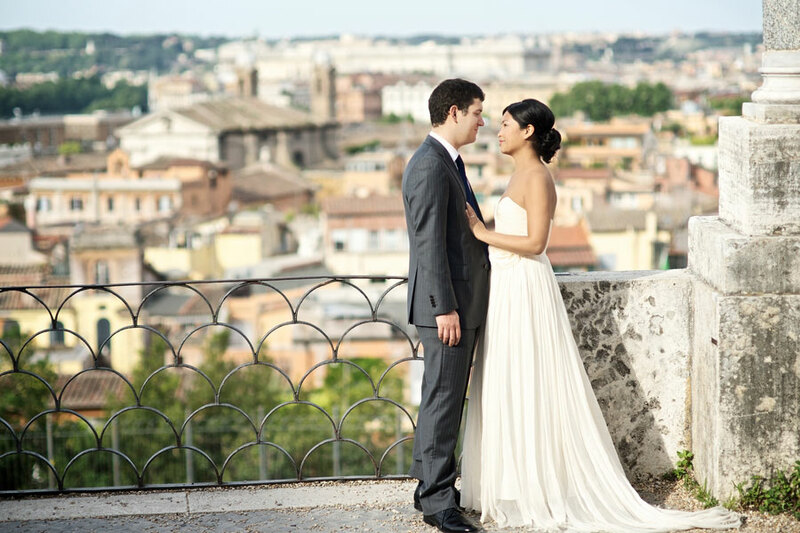 The plan was to have a grand affair in Italy’s northern lake region were all the families could join together in a stunning international wedding to celebrate. 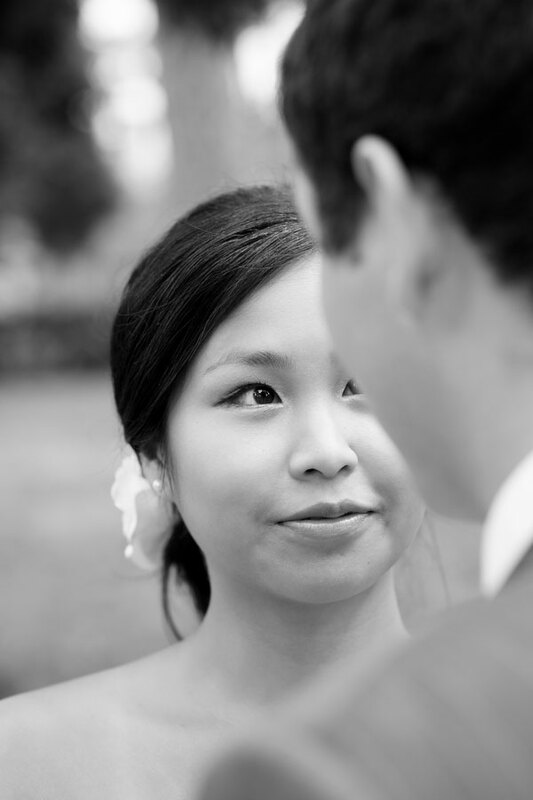 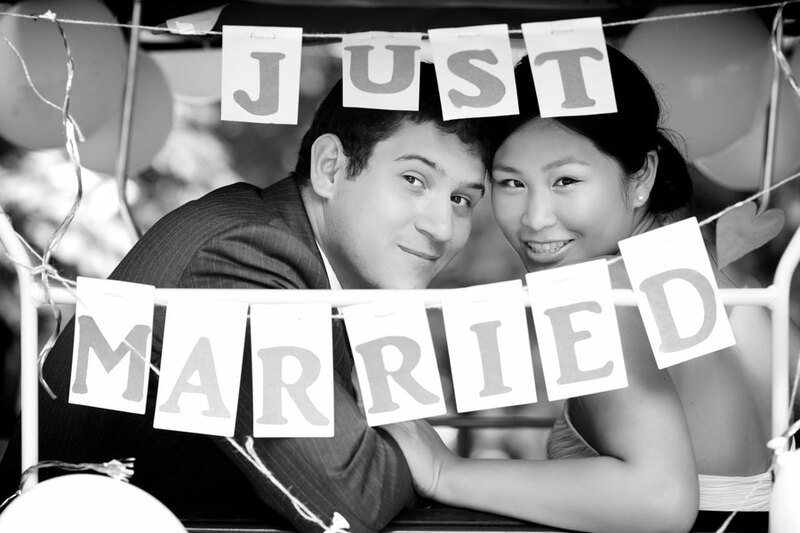 Logistics become extremely complicated, & when everything hit a fever pitch, Christina Lee & Andrea Senso decided that instead of making themselves crazy, to call off the big wedding, opting for a small intimate affair. 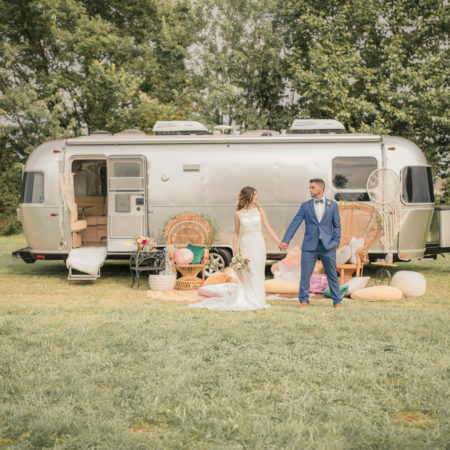 Still wanting to have gorgeous images of their union, Christina & Andrea took the opportunity to join up with Rossini Photography to have a worry free shoot of our adorable couple! 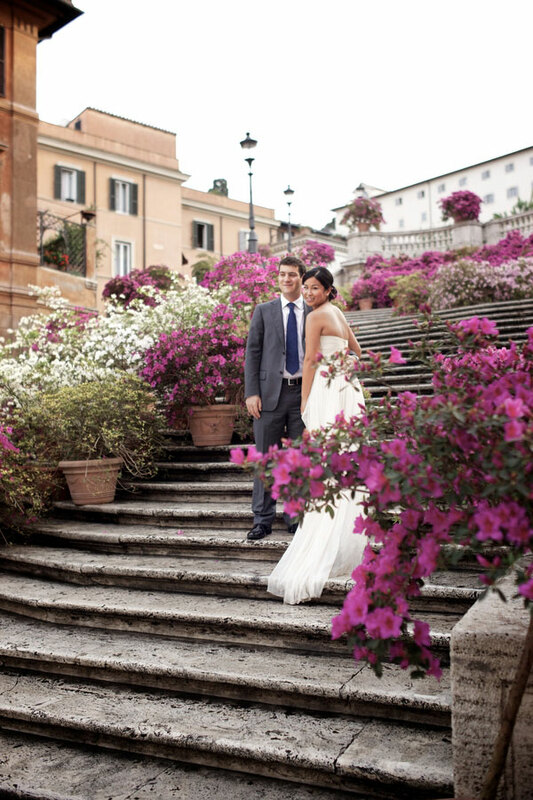 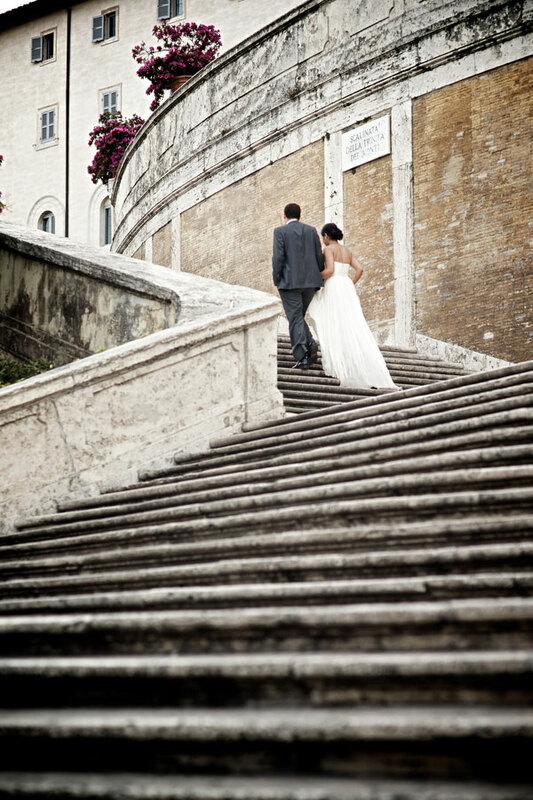 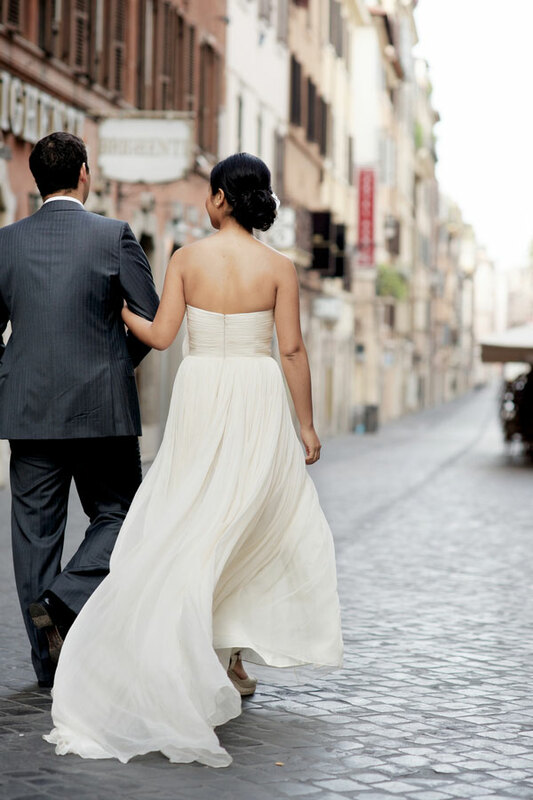 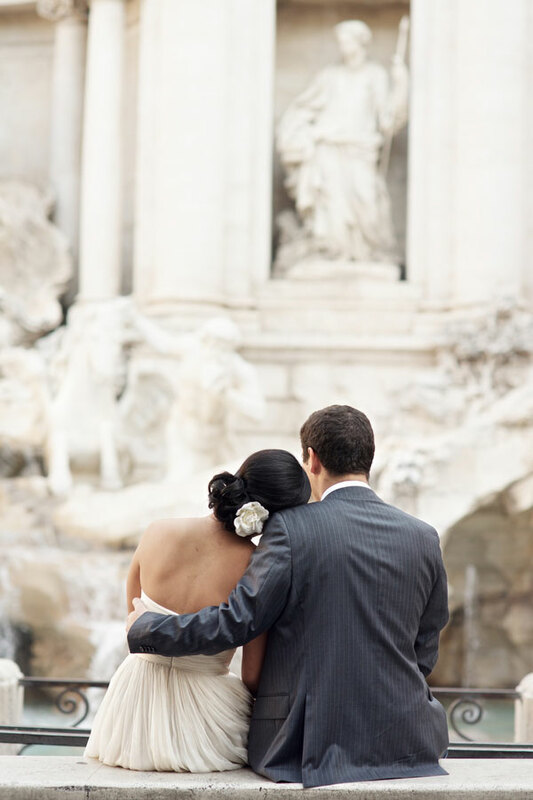 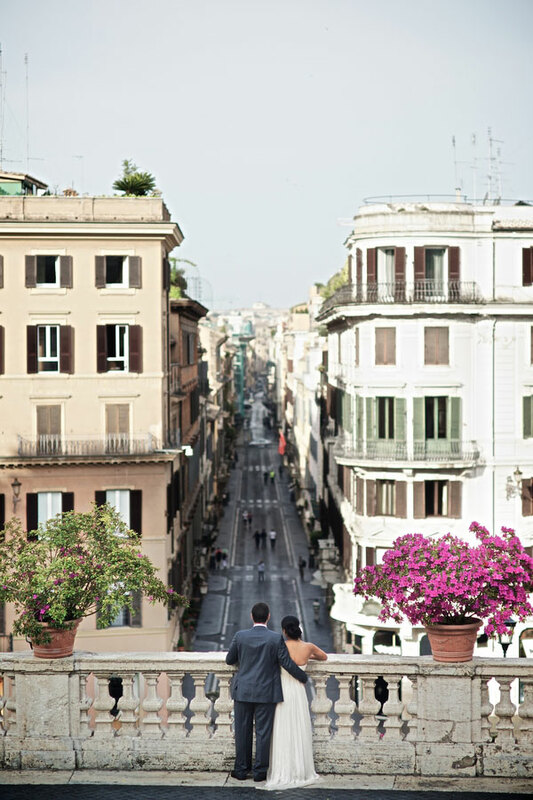 Starting at the Trevi Fountain, they moved to Piazza di Spagna, then walked up the Spanish Steps. 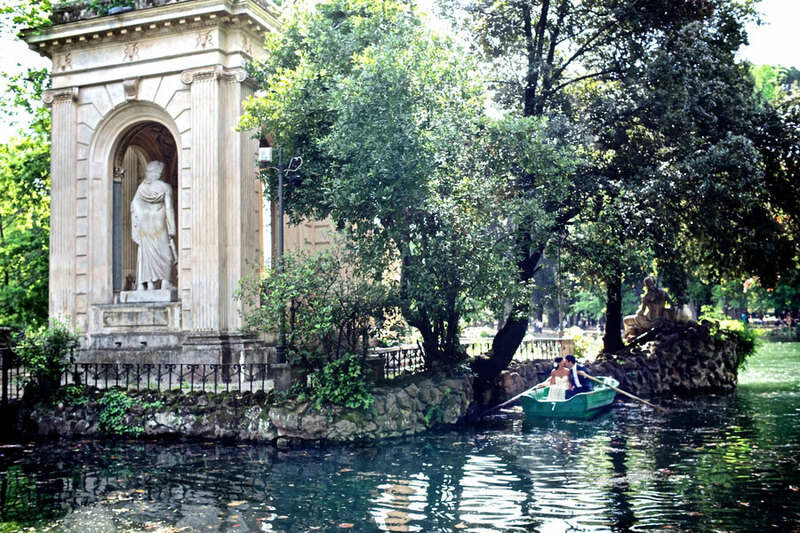 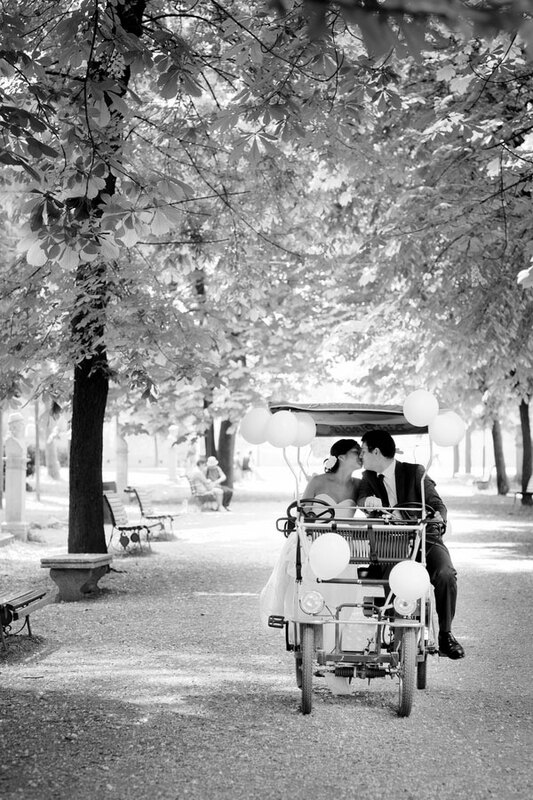 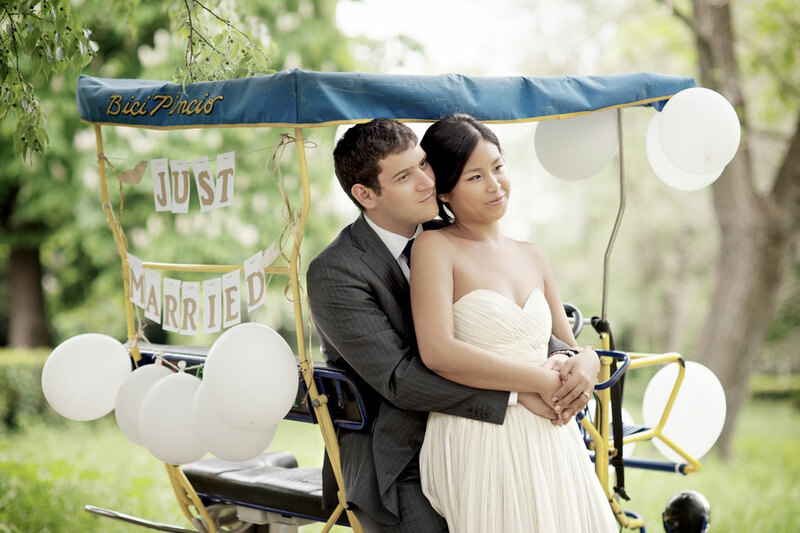 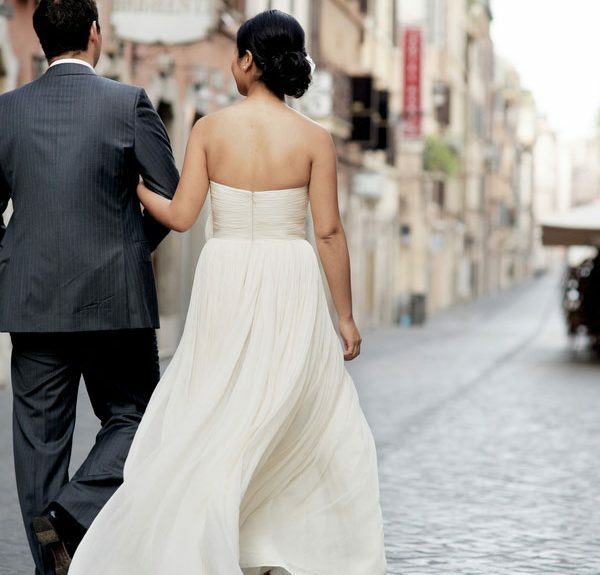 Once uphill, they reached the beautiful park of Villa Borghese, which rises above the center of Rome, playfully renting a row boat, a couple of rickshaws, and taking pictures between alleys, paths, lawns, and woods! 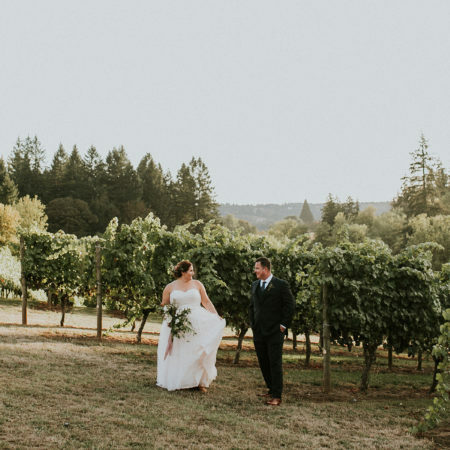 There is a certain carefree feel to this shoot that I think comes as a result of our couple not stressing over details of their on going wedding day. 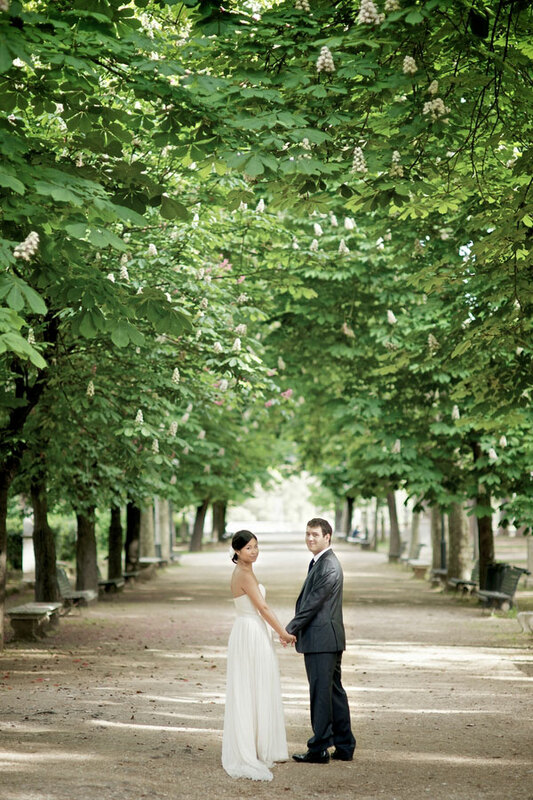 The imagery is stunning & our couple as gorgeous as can be.